Now This is when It gets to be super fun! 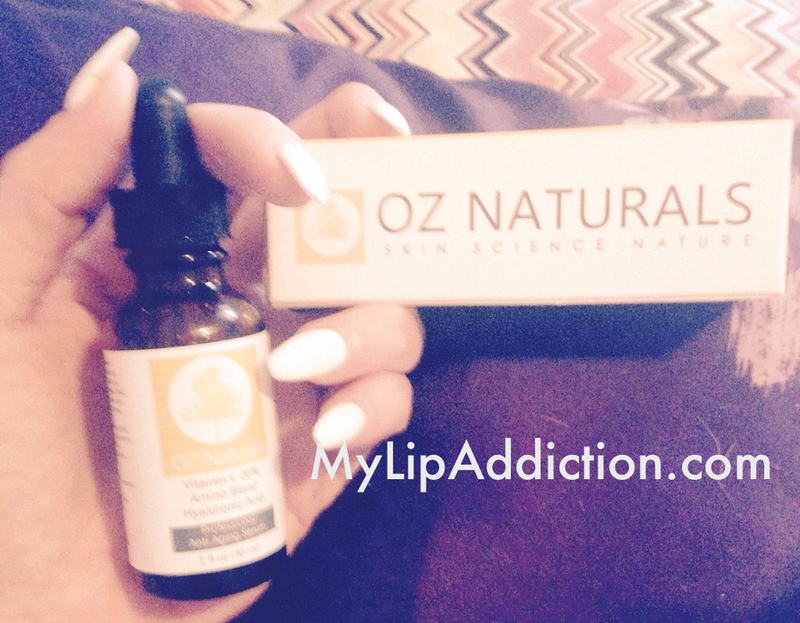 I Received OZ Naturals 20% VITAMIN C + AMINO + HYALURONIC ACID SERUM on the 7th and am doing a Full review on the 14th. One week after. 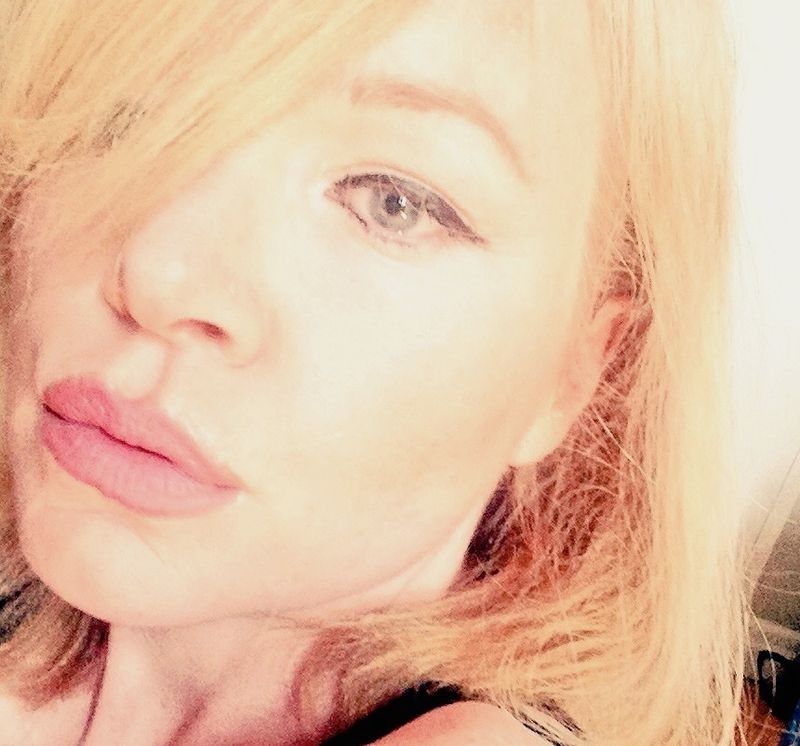 I have cut out a Huge load of toxins out of my life. Feels Good! So This is me before the using the serum. I am already seeing dramatic improvements in Tone and suppleness. So Look out for that review on the 14th. and Fridays now will be dedicated to Balms and Glosses. That’s why I called my site MyLipAddiction.com! And These are Incredible – All Cruelty free! 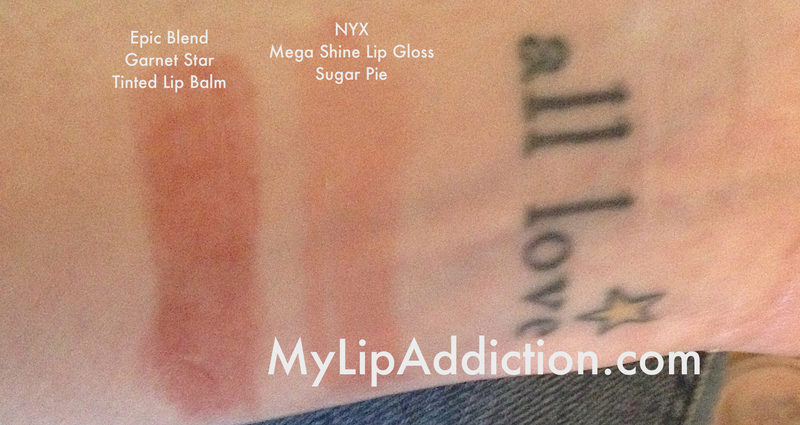 NYX Mega Shine in Sugar Pie! Love it! I’m wearing it In the photo above -I Love everything they do, and my collection is Growing! Beautiful beautiful stuff. This Juicy Cherry Lip butter is so emollient with Shea Butter and cocoa seed butter . Juicy cherry scent. Love It! It’s Not Tinted which is nice sometimes. Epic Blend Premium Lip Balm is another Canadian Brand, Out of British Columbia. Garnet star is so pretty on. It’s a sheer merlot with some shimmer and smells like Pomegranate. Yum. It Gives Your Lips a lovely stain. 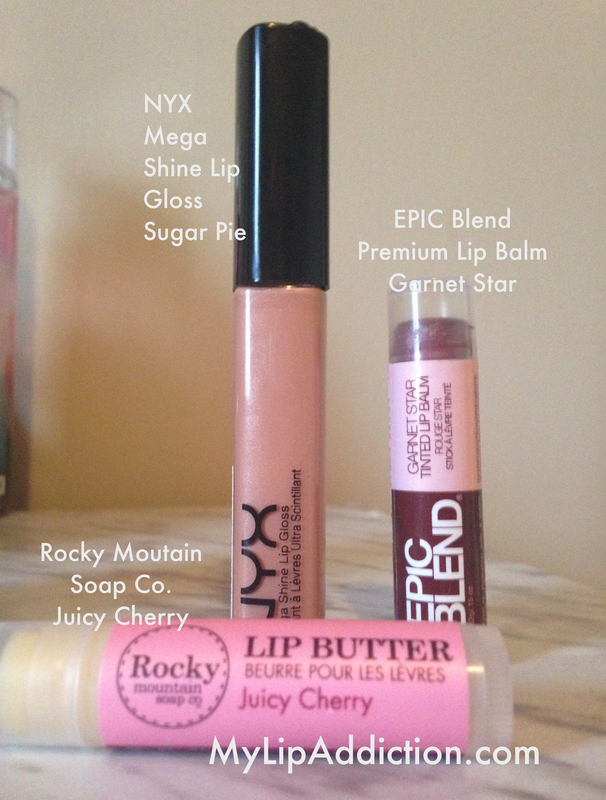 Sugar Pie is also my favorite lipgloss shade! It’s a popular one for sure!